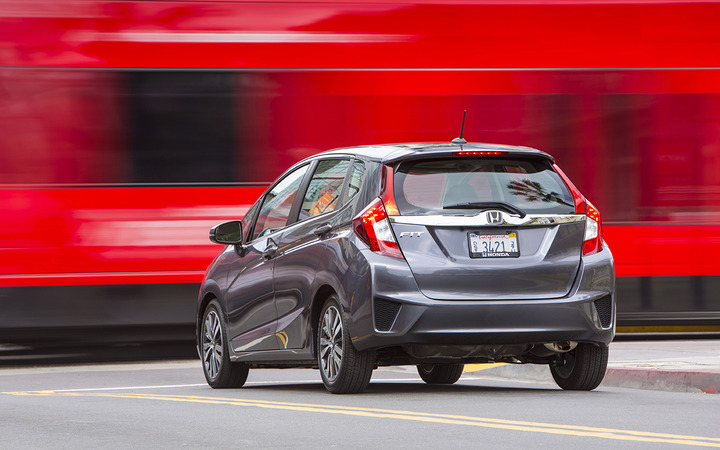 Subcompact cars such as the Honda Fit enjoyed a 0.6% increase in average retained values in Black Book’s November report. Photo courtesy American Honda Motor Co. Inc.
LAWRENCEVILLE, Ga. — Black Book (div. Hearst) released its Used Vehicle Retention Index for November, registering a 116.5. That’s a 0.2% gain from October, when the index stood at 116.3, and seventh consecutive month increase since May (112.0). Remarkably, Black Book analysts have reported only one monthly decline this year, when the index registered 113.3 in February and fell to 112.0 in March. Midsize luxury crossovers and SUVs led all categories with a 0.8% increase, followed by subcompact cars (0.6%) and midsize and premium sporty cars (both 0.5%).